I am back to my spectacular beachside flat. 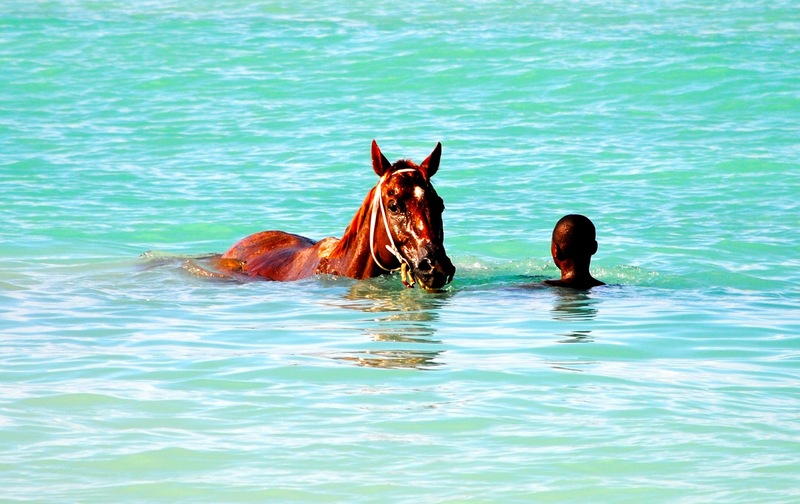 Day 2: I walked out of my front gate, onto the beach, and there in front of me: 4 horses, in the sea. There is something so stunning about seeing these huge heavy clumsy-yet-elegant animals swimming like fish in the green-blue water under the sun. It took my break away. 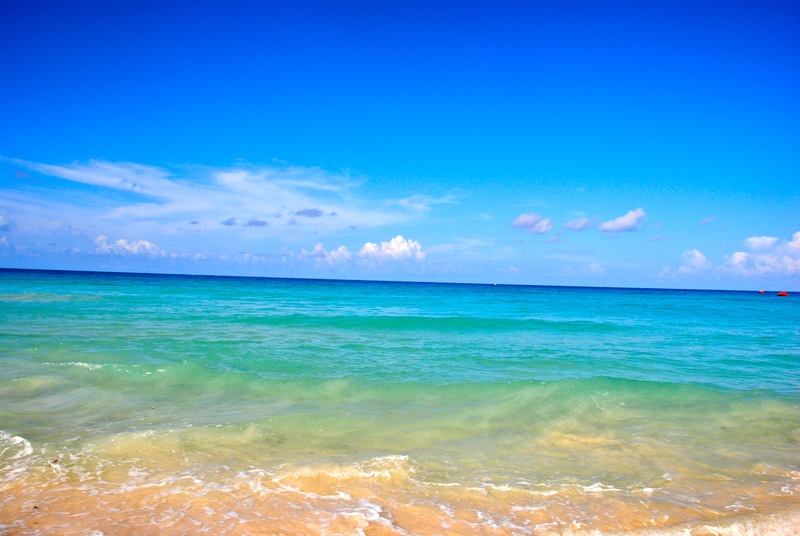 You have got to love Barbados – the sea is so green, and so blue, and so so many colours that you can’t count them all. Day 4; I went to the HOT POT, where regulars hailed me up. There weren’t many people there but a spirited discussion nonetheless about BOBOL (corruption) and other tiefery. While gentlemen ussually arrive in their fancy cars, and park them on the beach, RAS BRADSHAW arrived on his old-fashioned bicycle, parked it, spent sometime tying up his dreads on top his head, then came to join the rest. He is ussually a quiet listening presence in the group. I will interview him later this week. 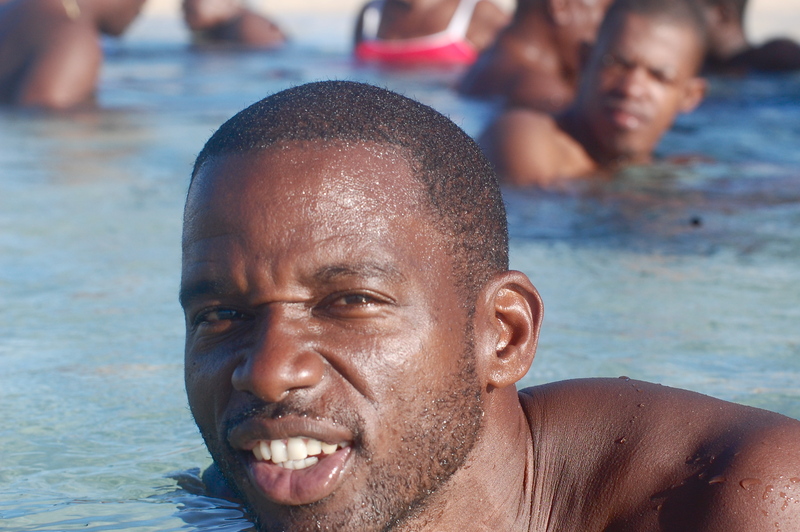 I’m going to Barbados next week and plan to resume the Hot Pot project! Barbados. This is Brighton Beach, where I live. 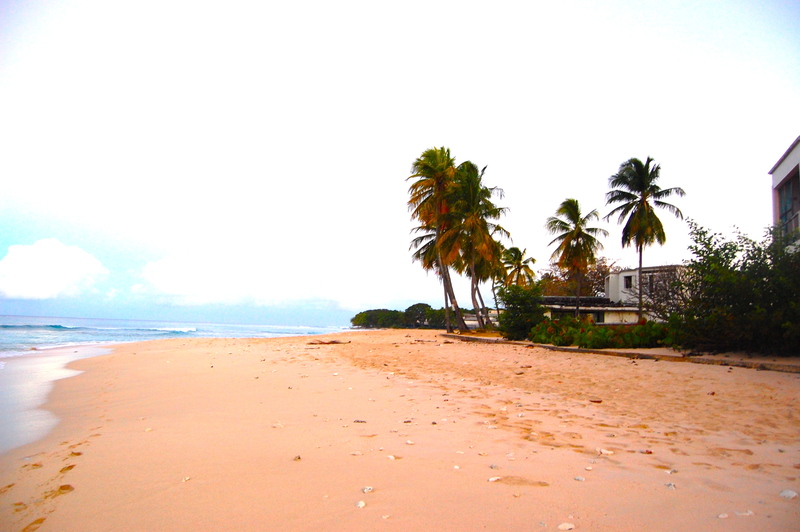 It's empty here, but the whole island turns out to walk up down these sands in the morning. The Hot Pot. 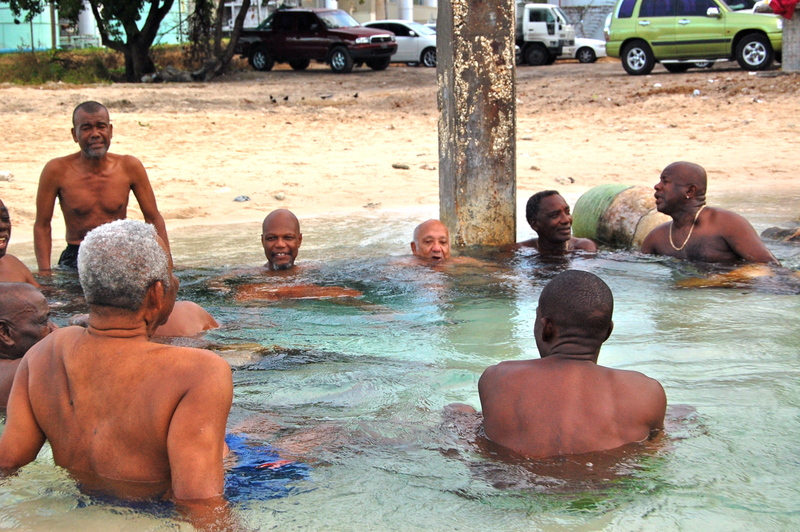 Sitting under the Mount Gay rum factory that hums and grumbles constantly, men (and sometimes women) soak and lime at dawn. The water that flows out from under the factory into the sea is hot. Arguments abound and get very heated... Different characters with very differing views clash. 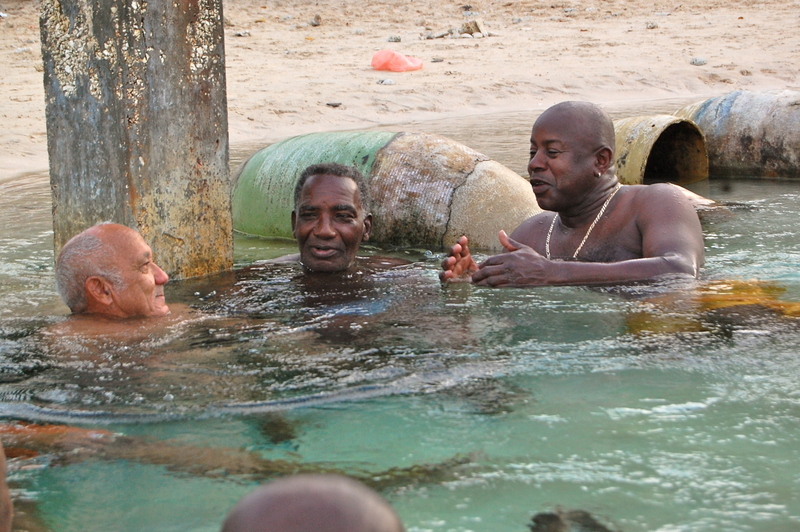 The warm pot has dubious health benefits, spewing pungent hot water from the Rum Factory but for generations Bajans young and old congregate here for a morning or evening soak. Frances-Anne is a prolific and accomplished international filmmaker, writer, and producer. 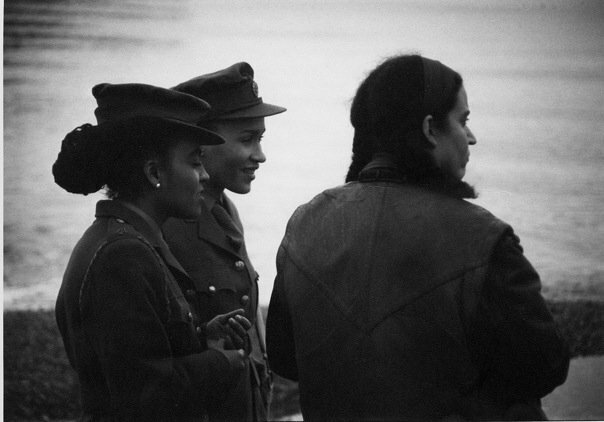 Born in England of Trinidadian parents, she was educated in Canada, the United States, Europe and Trinidad, before moving to the UK where she built a successful career as a Producer with BBC Films and Single Drama. She returned to Canada in 1999 where she continues to create, produce, write and direct films, television programs, theatre plays, and new media projects. She is the founder and Director of her two companies Leda Serene Films - her film production vehicle - and CaribbeanTales, Canada's premier educational multimedia company. In May 2010 she became the founder and CEO of CaribbeanTales Worldwide Distribution Inc, the first distribution company of its kind in the English speaking Caribbean and now divides her time between Toronto and Barbados.